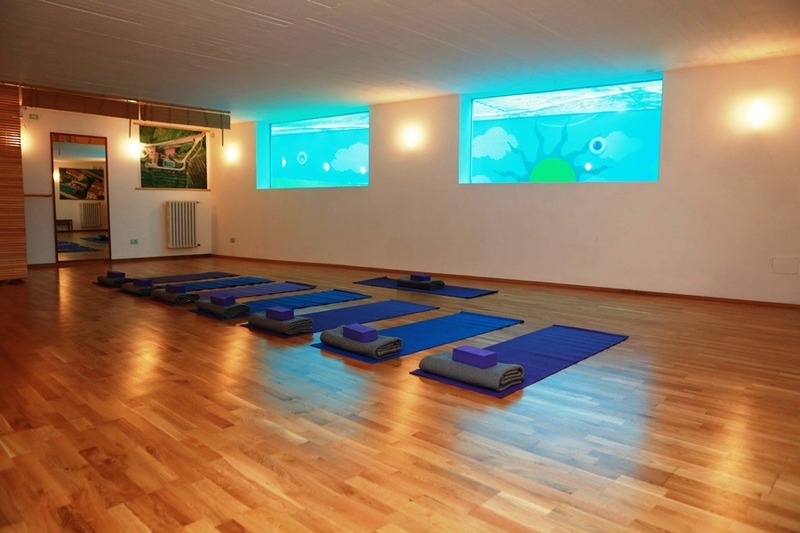 Eviactive.com Yoga in Italy offers an unforgettable journey into yoga and healing in Italy. Find relaxation and renewal at our Tuscany getaway. We go beyond yoga and wellness. We offer a state of well-being that uplifts your spirit and sparks change in your life in an environment of natural beauty, and Italian cultural warmth. Decompress, take a deep breath and truly focus on yourself. Included in our program is a transfer from the Lucca train station. Other transfers can be arranged upon request. Fees apply. Time to unpack and unwind. 7:30 AM Morning Yoga followed by a healthy breakfast. 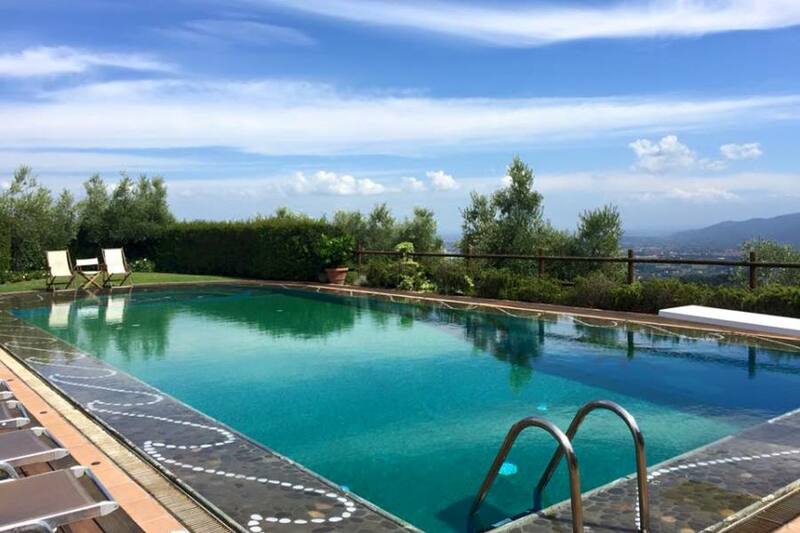 The remainder of the morning is yours to relax, sit by the pool, walk in the hills and take in the healing power of the Tuscan countryside. Holistic and massage treatments available for a fee and must be booked upon arrival. 7:30 AM Morning Yoga – strength and tone – followed by a healthy breakfast. After breakfast join us for walk in the Tuscan hills to a local winery for an exclusive wine tour and wine tasting. – 6 KM round trip. Wine and yoga really do go together. There will be a late lunch served after the return walk. Afternoon free time. Or you can book one of the many excursions that are available for purchase. 5:30PM Yoga and meditation. Note, depending on the flow of the day the Yoga mediation may take place in the evening after dinner. For those who are interested we suggest taking a bike tour of Lucca, booking a massage, taking a walk in the countryside, or simply relaxing by the pool. Information available upon request. Afternoon at the pool or enjoying one of the many treatment services or book a shopping excursion. 6:30AM Breakfast snack. We start early today in order to be on the road for a full day adventure to the Cinque Terre. 7:30AM on the bus for a full day excursion to the Cinque Terre. With our guide Michelangelo, we will hike the towns, lunch overlooking the Ligurian sea, practice yoga in a refreshing new environment, was along the well-groomed and renowned paths of the Via dell’Amore (The Path of Love). 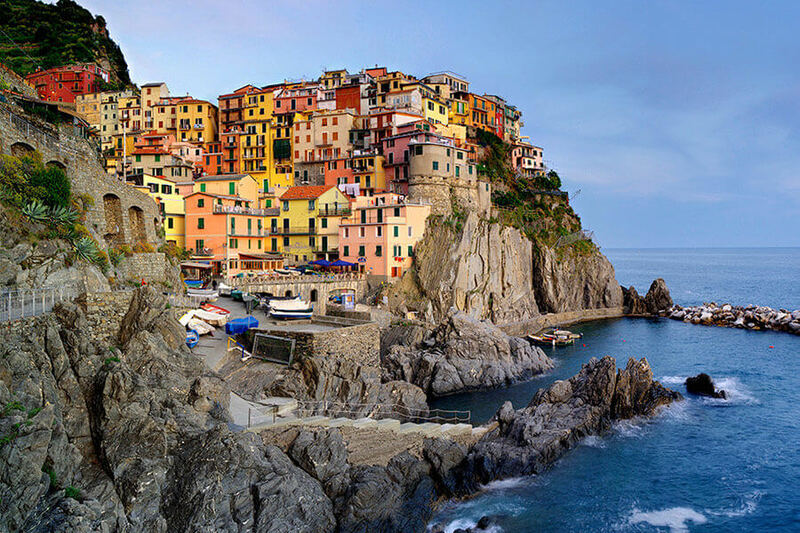 The scenic route hugs the coastline and leads to cliff side Manarola. Traverse the centuries-old terraces cultivated with grapevines and olive trees to the hamlet of Volastra. Descend gradually into quiet Corniglia built high on rock formations that rise from the sea. After lunch, try an ice cream at the Gelateria in Corniglia before taking the train back to Monterosso. 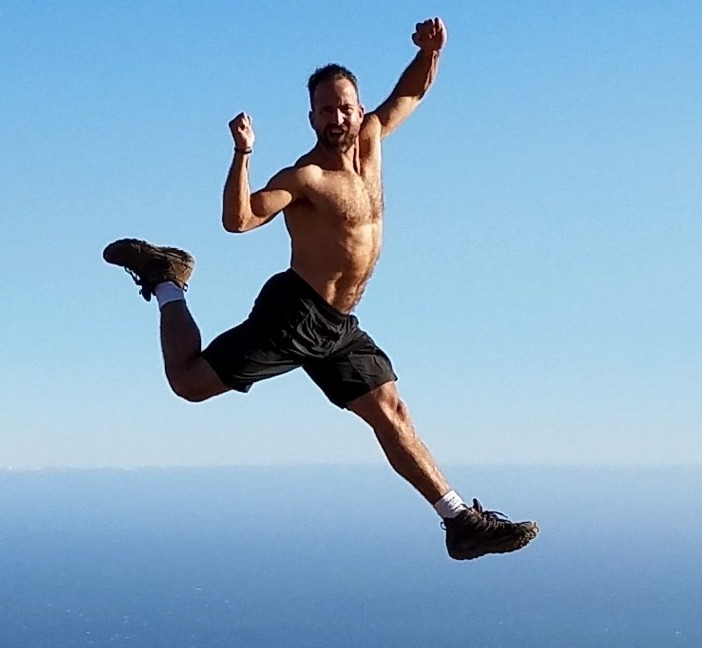 Included, bus transfers, guided hike, yoga. 4:30 Return to to Lucca and stop on the way back for dinner. 8:00 PM Group gathering with Alex. Afternoon free time or try the hot springs excursions available for a fee upon request. 7:30PM Farewell dinner with authentic pizza cooked outdoors in the wood burning stove and lots of Prosecco. Available extras: Massages, holistic treatments and excursions are optional and are not included in the retreat price unless otherwise specified. One short walking excursion to a local a vineyard for a wine tasting experience. Wine included. Full day tour, hiking and yoga to the Cinque Terre. On some retreats the Cinque Terre is optional. It is included in the 2018 departures. 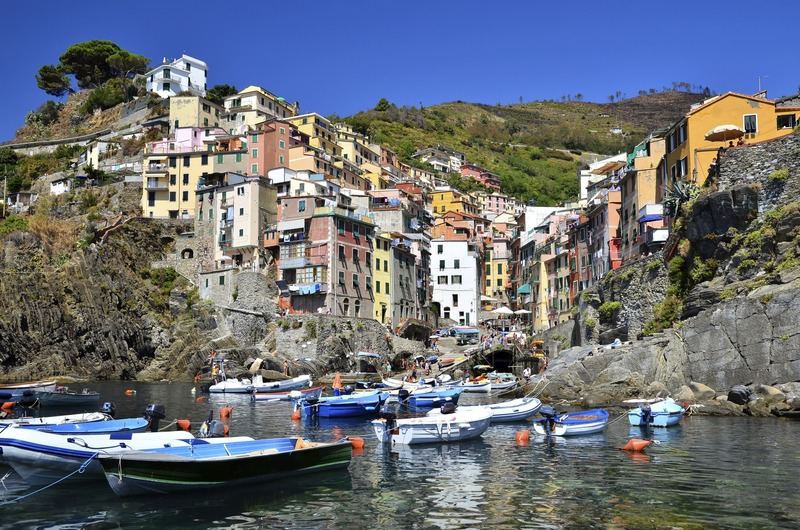 Visit the breath-taking Cinque Terre region consisting of 5 coastal villages embedded in rocky cliffs along one of Italy’s most scenic stretches of Liguria. For keen hikers, its possible to spend a day walking between the villages, enjoying some spectacular scenery along the way. For others, you can still enjoy walking some of the more gentle trails, spend time swimming, exploring the villages or sampling some of the freshest seafood in Italy! Our drivers will drop you off at the first village & pick you up again in the evening. Our guides Michelangelo or Francesca will show you the way and introduce you to the real Italy. A fresh detox fruit and vegetable juice is provided daily at breakfast. Fresh fruit, water and herbal teas are available throughout the day and local wine is served at dinner. Last night celebratory dinner with Prosecco and home made pizza cooked in the wood-fired oven. Group transfer to and from Lucca at the beginning and end of the retreat (one scheduled pick-up and drop off only). Please note that a transfer back the Florence airport can be arranged at the end of the tour. There will be no fee. There is a fee from the Florence airport to to the property in Lucca. All our Yoga Teachers and Retreat Organizers have teacher liability insurance that covers them for teaching internationally. In addition, travel insurance is a condition of attendance for all students attending a retreat at our retreat centres. We will assist you as needed with your travel insurance. If you already have travel insurance, you must provide proof before attending our retreat or we have the right to cancel your booking without refund. One lunch and one dinner eaten out. Gratuities for our guides, drivers, yoga teachers. This year we are offering a 2 nights pre trip to Florence. Start at our fave hotel. Arrival afternoon half day tour of Florence city center. Evening group or individual dinner based on what you prefer. Dinners are paid directly to the restaurant but group dinners are accompanied by host Eva Stelzer. Day 2 half day visit to the Ufizzi gallery with guided tour, afternoon free time in Florence or shopping excursion to THE MALL, a designer outlet for Italian made men’s, women’s and children’s clothes, shoes, handbags, accessories, fragrances, jewellery as well as gifts and home accessories. The most prestigious brands are: Gucci, Valentino, Salvatore Ferragamo, Bottega Veneta, Burberry, Giorgio Armani, Fendi, Dior, Pucci, Yves Saint Laurent, Hogan, Tod’s, Ermenegildo Zegna. Florence, Rome, Venice, Milan, Lake Como, the Amalfi Coast. All possible. Massages and holistic treatments are available in-house during your retreat, all of which will help participants relax, unwind, release tensions and improve wellbeing. We have a team of experienced therapists and treatments can be booked upon arrival. Treatment Pricing is €60 for 60 minutes, €75 for 75 minutes and €90 for 90 minutes. Optional Excursions + Activities – La Dolce Vita! Join a guided bike and walking tour of Lucca to discover its fascinating medieval walls, ancient architecture and elegant palazzos. The tour lasts around 3 hours starting with a gentle cycle around the ancient walls of Lucca pointing out places of interest followed by a tour on foot through the medieval streets. The tour is just about the right length of time to learn something about the history of Lucca, see some of its works of art, sample some of the best gelato in the world or stop at one of the local cafés to enjoy a macchiato! Note this tour is very easy in physical challenge. Visit the lively, picturesque artist’s village of Pietrasanta, a thriving art centre full of galleries, shops & colourful restaurants spilling onto the pavements. Best known for its marble & bronze artistic works, Pietrasanta often hosts international art exhibitions in the local Piazza’s where you can sit over aperitivo and watch the buzz unfold. The best time to visit is in the early evening and staying until late. Our drivers will drop you off and bring you home by around 11:30pm. Indulge in a thermal spa journey to relax, unwind + melt away any tension. Discovered in ancient roman times, the therapeutic properties of the hot springs offer health benefits such as better circulation, treatment of mild skin conditions, improvement in the body’s detoxification process + a boost to your immunity system! Best suited to the cooler months, our thermal spa excursion departs after breakfast & returns in time for a late lunch. 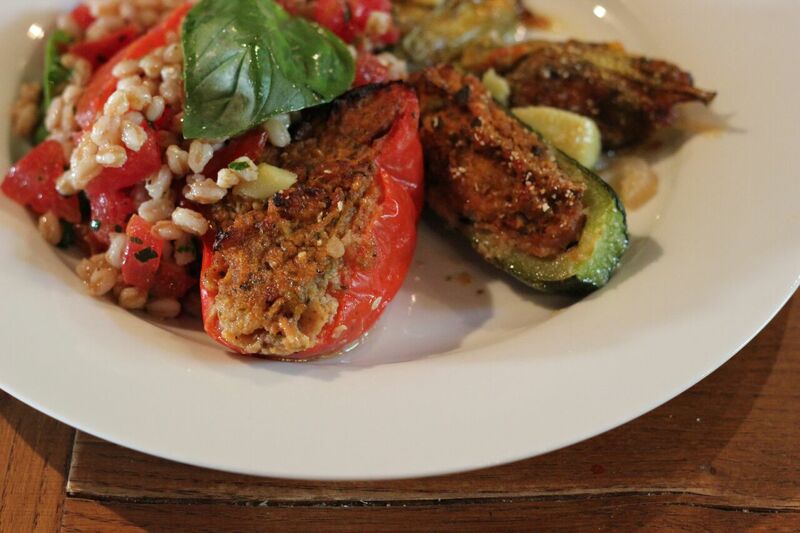 Enjoy a cooking lesson with our wonderful local cook! Roll up your sleeves and get ready to learn the secrets of regional Tuscan cuisine passed down from generation to generation. You and your fellow retreat guests will get to taste the results of your morning’s effort and you will be amazed at how something so simple can be so delicious! Internet access and phone reception in the main areas only. No telephones in private rooms. LINENS AND TOWELS Please note that linen is not changed during the retreat but bath towels are refreshed mid-week. One pool towel per person is also provided. WIFI is available at no charge at the retreat center. However, as we are in the countryside, mobile phone reception can be intermittent. Whilst we recognize the need to stay in contact with friends and loved ones during your retreat, we try to encourage guests to leave their virtual world behind.